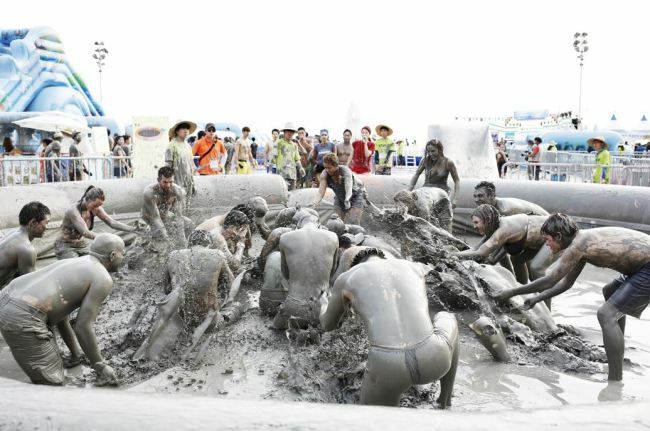 Boryeong Mud Festival, a “feast of mud,” is set to open Friday at Daecheon beach in Boryeong, South Chungcheong Province. The festival is an extravaganza of mud, first held in 1988 to promote mud-based organic cosmetics. Similar to Spain’s iconic tomato-throwing Tomatina festival, the mud festival has settled in Korea as one of its most representative summer events. 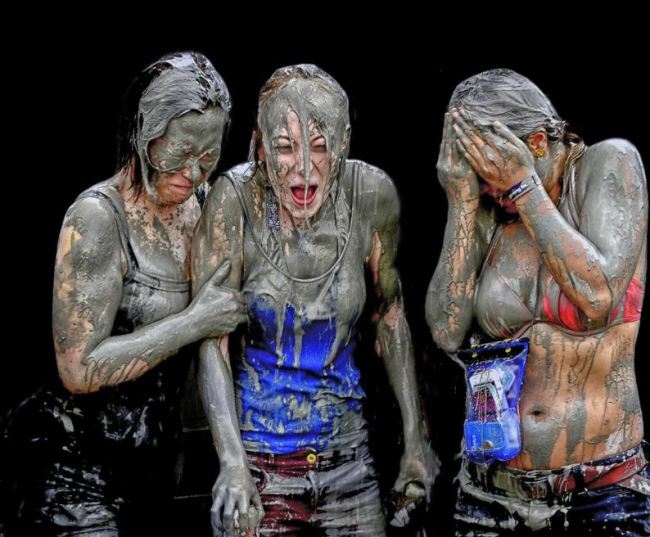 Since 2009, the mud festival has been exported to China, England, Spain and New Zealand. 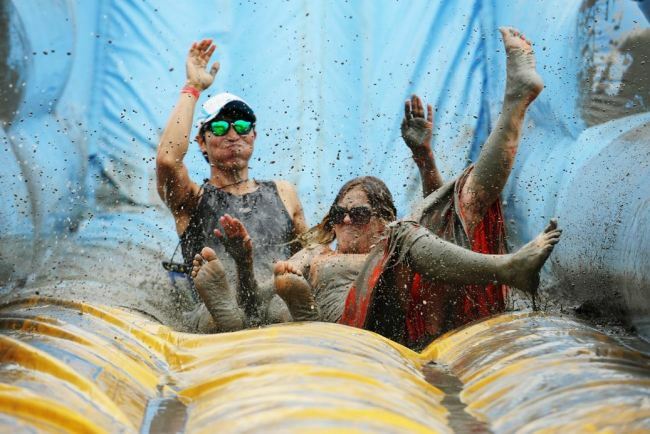 This year’s festival runs to July 22, offering 60 programs, including mud futsal, yachting, a mud run obstacle course, mud street on a car-free day, C ocean water park challenge and more. The festival is open to visitors of all ages. Admission fees vary from 11,000-14,000 won ($10-12) for weekdays and weekends for adults, and from 9,000 won to 12,000 won for children. Those under 3 years in age accompanied by an adult can enter for free. Visitors can enjoy amusement facilities such as mud slides and an air bounce, as well as interactive programs such as mud massages and mud soap crafts or mud character making. For convenience of not carrying so many belongings, the festival has adopted the mobile simple payment service “Mud pay” and QR codes inserted to admission bracelets to facilitate easier transactions. For more information, visit the Boryeong Mud Festival official website at boryeongmudfestival.com.